Our latest roundup covers news from June 16 – July 2, detailing upcoming ASX listings via IPO and RTO. IPO planning Consumer Discretionary and Staples The parent company of Chinese daigou business AuMake, ITM International, will conduct a…. Our latest roundup covers news from June 2 – 15, detailing upcoming ASX listings via IPO and RTO. 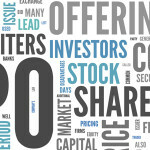 IPO planning Consumer Discretionary and Staples Making inroads in its ASX pursuit, Craveable Brands embarked on an east coast roadshow…..
Our latest roundup covers news from May 15 – June 1, detailing upcoming ASX listings via IPO and RTO. IPO planning Consumer Discretionary and Staples Despite retail and consumer sentiment souring lately, several ASX aspirants continue to work…. Our latest roundup covers news from May 1 – 14, detailing upcoming ASX listings via IPO and RTO. IPO planning As Quadrant lines up Goldman Sachs and UBS to help Macquarie with a float of the energy business, owners…. Our latest roundup covers news from April 18 – 30, detailing upcoming ASX listings via IPO and RTO. IPO planning In what could be one of the largest listings for some time, oil and gas supplier Quadrant Energy is…. Our latest roundup covers news from April 3 – 17, detailing upcoming ASX listings via IPO and RTO. IPO planning Despite speculation Oceania was struggling to capture investor interest, the company completed an “oversubscribed” bookbuild at NZ$0.79. With an…. Our latest roundup covers news from March 17 – April 2, detailing upcoming ASX listings via IPO and RTO. IPO planning As Dixon Hospitality prepares for life on the ASX, Evans & Partners as well as Morgans have…. Our latest roundup covers news from March 3 – 16, detailing upcoming ASX listings via IPO and RTO. IPO planning URB’s LIC received an investment grade rating on its way towards an April 7 listing. The fund is angled…. Our latest roundup covers news from February 17 – March 2, detailing upcoming ASX listings via IPO and RTO. IPO planning Manuka Resources could present investors a scarce opportunity to invest into a new silver mining play, with the…. Our latest roundup covers news from February 3-16, detailing upcoming ASX listings via IPO and RTO. IPO planning For the second time, underground mining contractor Barminco may pursue ASX listing plans later this year. Barminco could seek to take….